Writers Help Writers Write, Right? I believe that writing groups can really push writers ahead — much more quickly than when writers just trudge along on their own. Here are some useful tips to help create and sustain effective and supportive writing groups: I hope they help! For most of the past decade, I’ve been in one writing group or another. Mostly for fiction, although I’ve also shared my writing with poetry friends in smaller numbers (less group, more #girlgang!). Deadlines and feedback have been critical to my growth as a writer and one sure way to get this is through sharing your writing regularly in a writers group. Or: writers groups, plural. At different times, I’ve been in separate groups for both poetry and fiction at the same time, and had a writing mentor at the same time. It really depends on your focus and how much time you have. You likely know a few other writers; possibly people you know fairly well, or just seen around town at different readings. Make a list of writers working in the same genre who might be open to sharing works-in-progress. It’s generally best to work with writers writing (and reading) in the same genre. As I said above, if you work in more than one genre, writing both poetry and young adult novels for example, then you might want to consider two separate writing groups. Consider a mix of both new writers and people with more experience. It always helps to have a mix of perspectives and even writers already published may still want someone to review their current writing as well. And if you are the only writer you know, try to get out more. Go to literary readings, workshops, events at the local library, or other meet-ups where you know you’ll meet fellow writers. Perspective and personality matters. Look for people you would otherwise enjoy spending time with, and while not everyone has to be perky and cheerful all the time, a group filled with bitter cynics will find it hard to generate the support everyone needs and to maintain the emotional connection required to keep the group going over time. Look for people you anticipate will be able to provide support and encouragement to fellow writers, along with discerning comments on how the writing can improve. 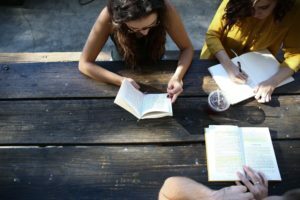 The best writing groups provide a mix of concrete advice on how to improve your writing and the encouragement to keep going when the going feels rough. Are you inviting people to join a monthly writers circle where one person’s work is reviewed and work-shopped at each session, or something more frequent? How many stories or poems or novel chapters or scenes will you review in one session? 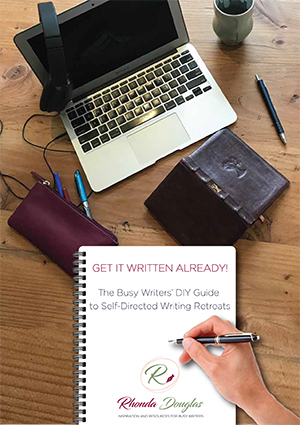 Are you planning to spend time writing together in the same space, or just reviewing prepared drafts? Will you review work a second and third time, or does everyone just get the one kick at the can? Giving some thought to how you want the group to operate at a practical level will help people understand what they might be committing to…a group of 6 people reviewing one story monthly means members have to commit to bringing at least 2 stories a year, for example. Smaller groups mean the writers have to generate work more regularly in order for the group to maintain momentum. Some of this the group will discuss and agree together, but you may want to think about these issues a bit yourself first before you ask people to join. It may take a while to pull the group together but keep at it — it’s worth the effort to find just the right people to share your work with, and you’ll find yourself feeling less lonely as a writer if you have friends with whom you can share the joys and challenges of the creation process. Unless you’re meeting online, you’ll need a physical space to meet. One writers group I was part of met in the back room of a pub, and that generally worked fine – though we did get to hear a ukulele group and a men’s chorus next door on different evenings, and sometimes we forgot to reserve the space in advance and had to find a quiet corner. But often, groups rotate from one member’s house to another, with other members bringing refreshments to share, and this can allow for both privacy and comfort. Once you have a few people together and know the genre the you’ll all be working in and some of the logistical questions are out of the way, there’s still the question of creating and maintaining a supportive environment. You really want to have a conversation up front – in your very first meeting, if not when you invite the person to join – that sets the tone for how people will treat one another in the group. Discuss expectations and emphasize the need for constructive and supportive feedback. Connect – as people arrive, allot some time just to say hello and share personal news. This builds trust but also helps group members know what else is happening in someone’s life that might be affecting their writing practice. Share – invite people to discuss what they are working on at the moment, the challenges they are facing (both mindset and technical/craft issues) and any recent successes such as work completed, new publications or grants received. Successful groups also share info about possible writing opportunities, as well as reading suggestions. Compliment – start the feedback session with a round of what each person found positive about the work at hand. You can do this as a round-table exercise or just ask each person to start with the positive when they offer their comments. There’s *always* something positive you can say. Critique – comments offered should always be in the spirit of constructive criticism. Members are asked to read the work and critique it on its own terms. This means taking the writer’s original intent into account, to the extent it is evident in the work at hand, and working hard to give comments that will help improve the work without turning it into something it was never meant to be. Reflection – ideally, the writer whose work is being critiqued has been silent during the feedback round. (This can be harder than it looks but is really important.) When the feedback is finished, now the writer can reflect back what they’ve heard and how they think that fits with what they’re trying to achieve, as well as ask further questions for clarification. Close – make a date for the next meeting and decide who’s hosting as well as who’s in the hot seat with new work for the next time around. Sometimes — particularly if the group is small and/or new — there may not always be enough work generated to fill a full evening. At those times, your group might also enjoy generating inspiration by discussing highly successful published short stories, or perhaps selections from poetry anthologies, or sharing tips for sustaining an effective writing practice. Whatever helps keep you all writing and improving your work in the process is great fodder for your group’s discussions. And I’m a big fan of wine and snacks — I can’t honestly think of a writers group I’ve been to that didn’t have wine involved, but I just might not have stuck around long enough to remember! Some of my closest friends have come from writing groups I’ve been a part of, and some of the best conversations I’ve had about the writing process have been in their wine-soaked living rooms. It’s been a true highlight of my writing life. I wish you great luck in finding your perfect writing group.